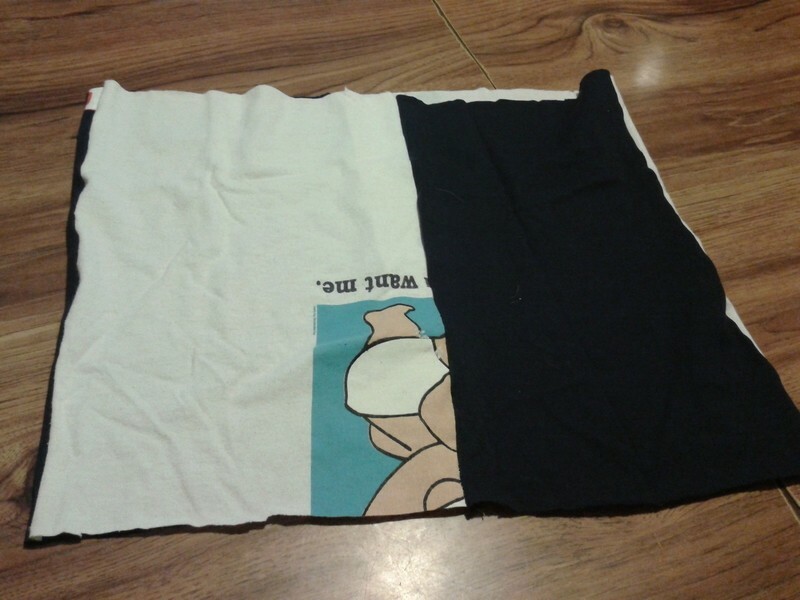 Cut these squares down the middle so that you have two pannels from each shirt, then cut these pannels in half, so you have four panels. Start sewing the panels together in alternating colors. 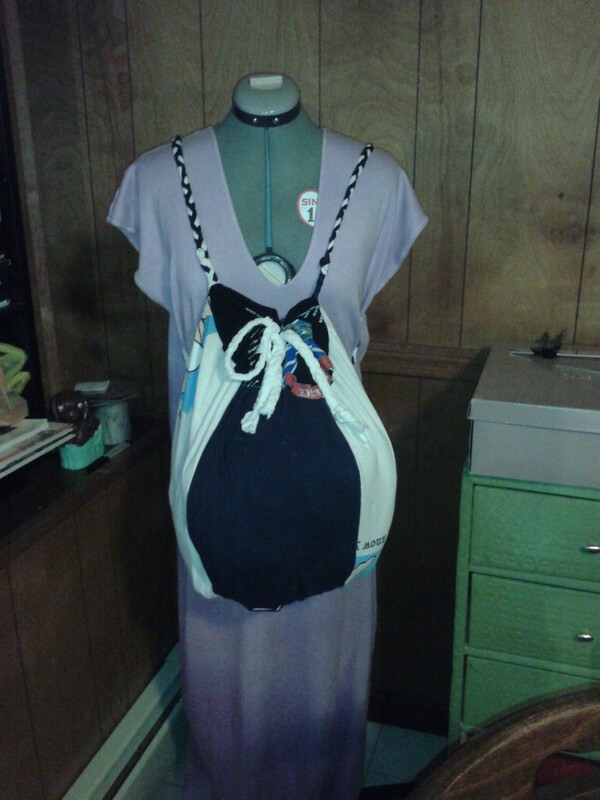 Keep adding pannels until the body of the bag is as wide as you desire it to be. 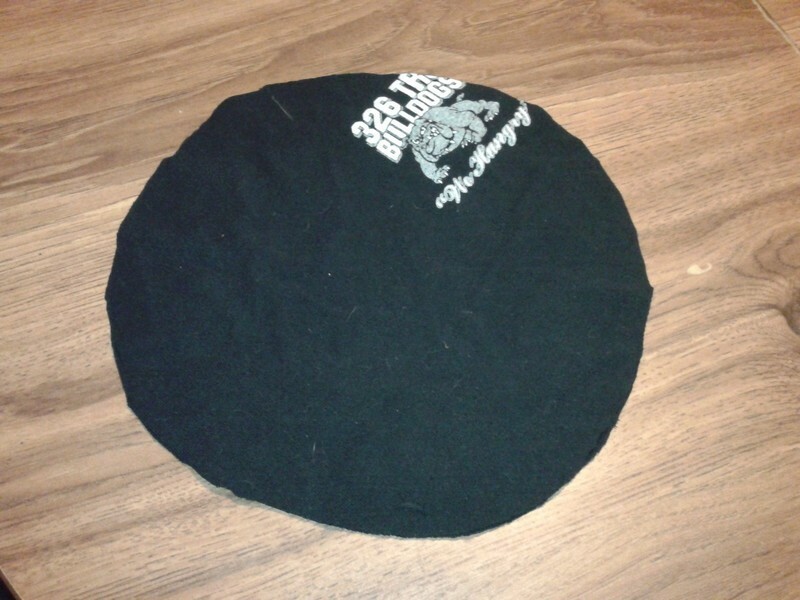 Sew the last panel and the first panel together so you have a tube. 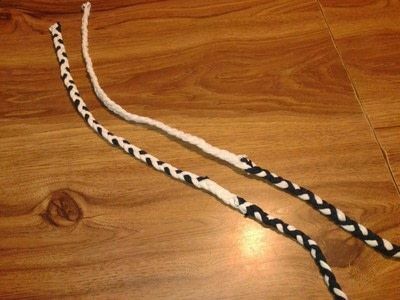 With the remaining fabric from the first two t-shirts, cut some strips and braid them together. 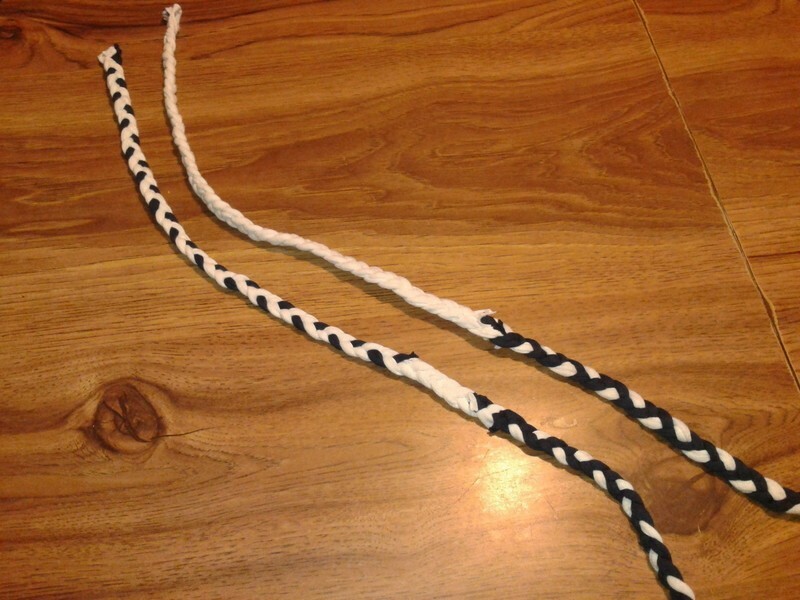 These braids will make your straps, so you need two of them, and they need to be fairly long, so you may need to stich a few shorter strips together to make the pieces long enough. Grab the 3rd t-shirt and cut out 3 circles - two for the base, and one for the top. On the circle piece you are going to use for the top, cut out a circle in the middle so you have a donut shape. Finally, take remaining fabric from the 3rd t-shirt and braid them together to make the draw string for the top of the bag. Turn the tube from Step 1 inside out, and thread the two braids up through it. Position the braids in a reasonable distance spart for straps. When they are in the desired position, pin them into place. 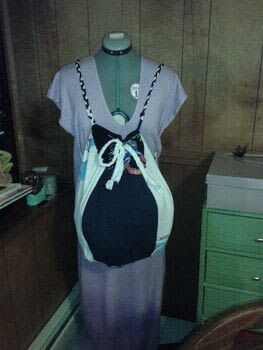 Take the two circles for the base of the bag and place them, with the right side facing in toward the center of the bag, on top of the pinned braids, at one end of the tube. Take the donut circle, and stitch it to the top of the bag. Make sure you also tuck the braids in so that the straps are stitched in place. Turn everything right side out. 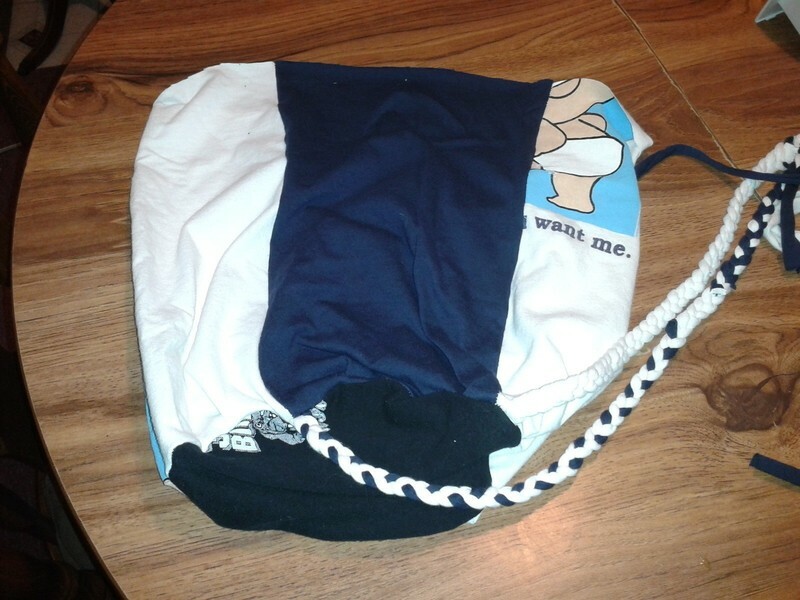 Poke holes around the donut opening and thread the braided strip from the third t-shirt through to make a drawstring.